Cambodia has a mild and safe climate, and, in contrast to the neighboring resorts of Thailand, Vietnam, and Philippines, there are never any typhoons, tsunamis or earthquakes. The white beaches and warm waters of the Gulf of Thailand have recently attracted more tourists and investors from around the world. At last count, Cambodia has 458 km of coastline and 52 islands. 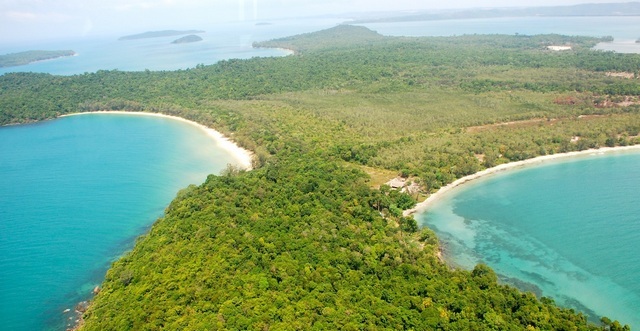 According to experts, off the coast of Cambodia there are about 40 islands with investment potential. Some of them have already been developed, and some of them are being developed by development companies, including those from China, Japan, Russia, France and other countries. On the site Sihanoukvilla.com we are present the most complete catalog of the islands and investment projects in the Gulf of Thailand. 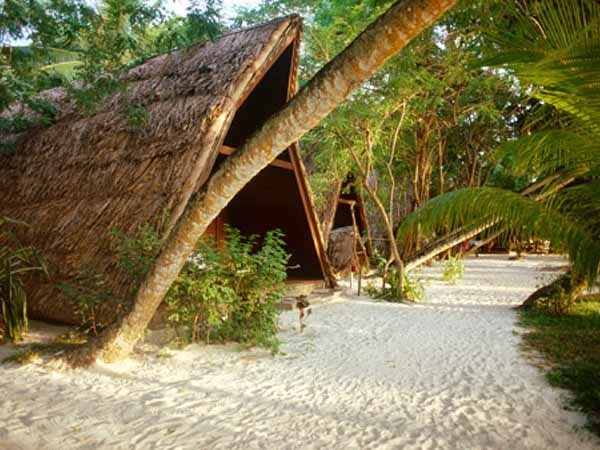 On the island of Koh de Kul is a 5 * hotel island Mirax Resort. New class hotel “suite” is situated on a small island in the Gulf (5 min. by boat to the coast of Sihanoukville.) Comfort and luxury – the two main characteristics of this hotel. The hotel occupies the entire island. On the territory: three pools, two restaurants (kitchen European, Asian, seafood restaurant). The hotel has 12 rooms, priced from $ 300 up to 3000, all with sea views. All rooms are furnished with antiques and objects of the colonial era. Koh Pu is also known as Morakot Island (Morakot island), or Snake Island. Koh Pu is 800 meters from the beach Victory. 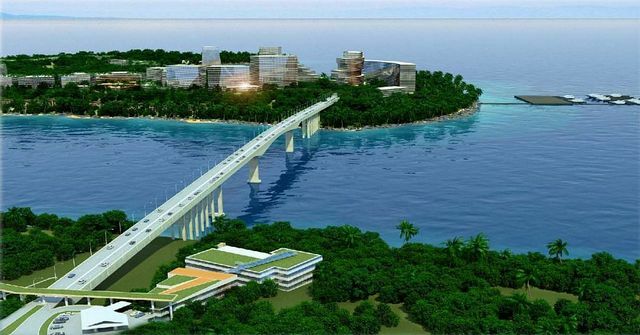 The island is still under development by Russian investors as luxury resort. The island is connected to the mainland by a bridge. 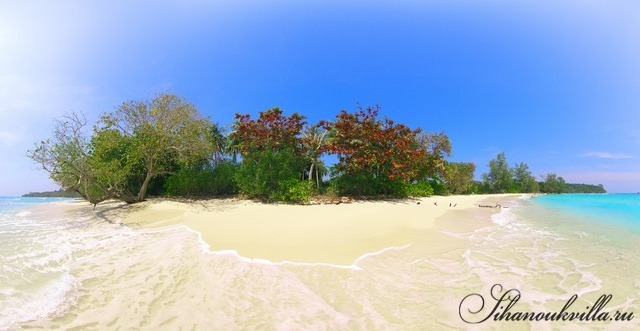 43 kilometers of pristine white sand beaches. 99 year lease in perpetuity. 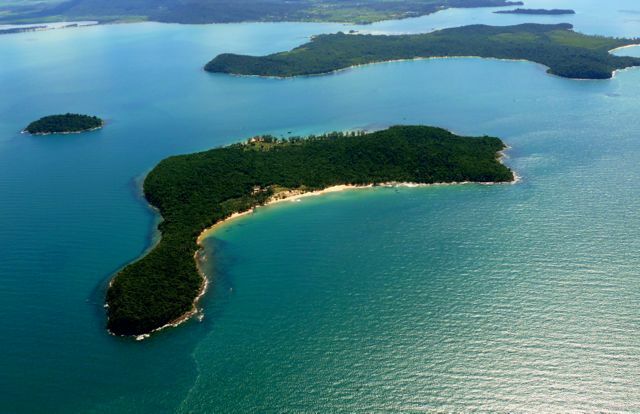 At 10 km from Sihanoukville is a small island of Bamboo (Bamboo island) the length of eight hundred meters. The coastline of the island completely covered with rocks. By Russa attracts tourists especially enchanting beauty of scenery, blue and clean sea water, as well as a few tourists. Arriving here on the boat, you’ll spend a few unique and full of romance days. On both sides of the island who wish to open their doors hospitable owners of cafes, restaurants and inexpensive bungalows. Experienced and novice divers will get a lot of fun as you immerse yourself in the underwater world of this wonderful island. Koh Ta Kiev is located in the Gulf, belongs to Cambodia. Included in the city-province of Sihanoukville. The surface of the island is covered with forest. The highest point is 63 meters. The island is scanty settlement – Kaohtakieu. The strait separates the island less than a kilometer from the Ream National Park. Near the coast is such a lot of surface rocks. The island of Koh Tang, located in the heart of the Gulf of Siam is unique in terms of geographical location, as well as untouched by civilization gem in its natural and ecological characteristics. Mangroves, coconuts, bananas, pineapples and mangoes, bamboo groves, the lack of snakes, and predators. 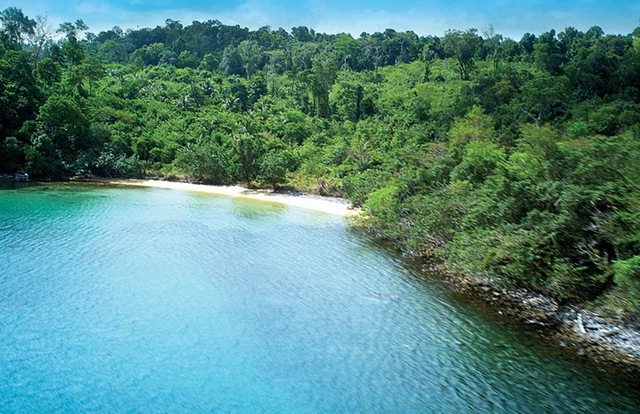 Koh Tonsai is located at the south west coast of Cambodia. “To Thonsáy” means Rabbit Island, and it is located near the mainland city of Kep. Koh Tonsai is 4.6 miles south of the mainland and the island can be reached by boat from the port of Kep. Please come back later or visit the working sections of the site.